Some 1,500 people have rallied in central Tel Aviv demanding the resignation of Benjamin Netanyahu over corruption allegations and a recent Israeli police recommendation that charges be brought against the Prime Minister. Earlier this month Israeli police recommended that Benjamin Netanyahu be indicted over allegations of bribery, fraud and breach of trust. 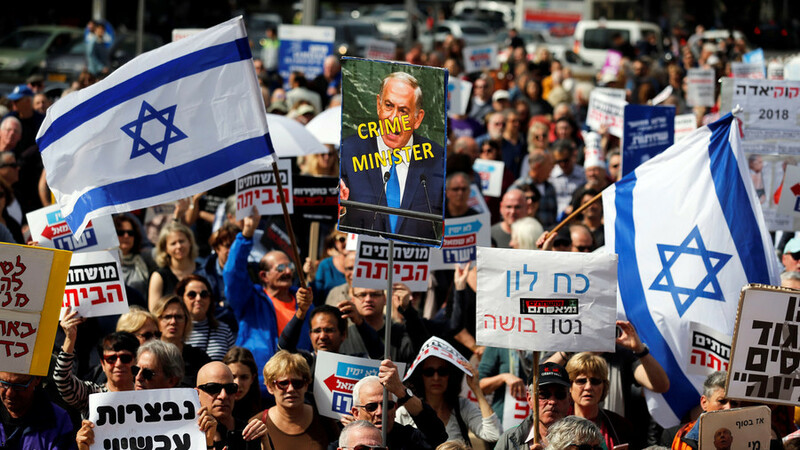 Despite the pressure and daily calls to resign, Netanyahu maintains his innocence, further exacerbating the public anger. “I came here to protest and to defend the democracy in Israel because it’s important that people will fight corruption wherever it is because the government here forgot that they need to serve us and not we need to serve them,” noted another activist present at the rally. Police earlier announced that they gathered sufficient evidence to start legal proceedings against the premier in two separate probes – Case 1000 and Case 2000. Although the recommendations were submitted to the attorney general, it may take months before the decision is made.